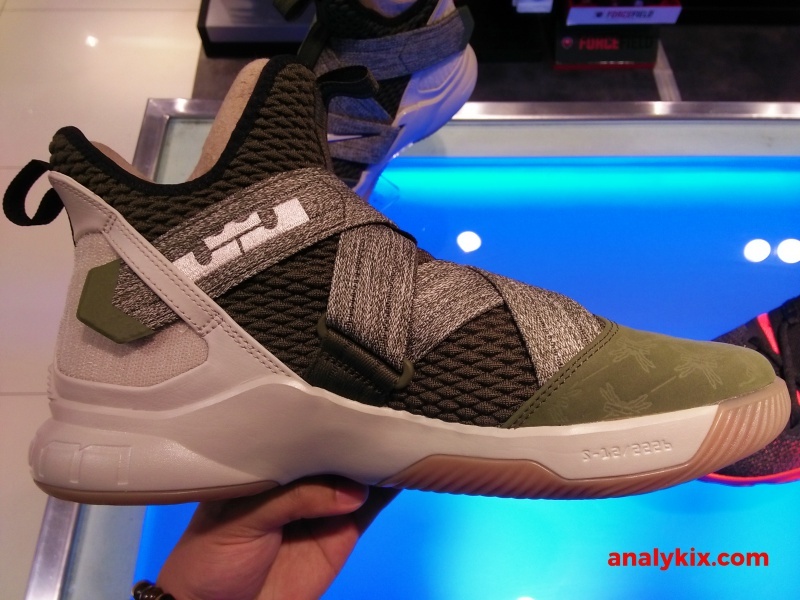 Another rugged colorway of the Nike Zoom Soldier 12 is now available at Planet Sports in Trinoma. 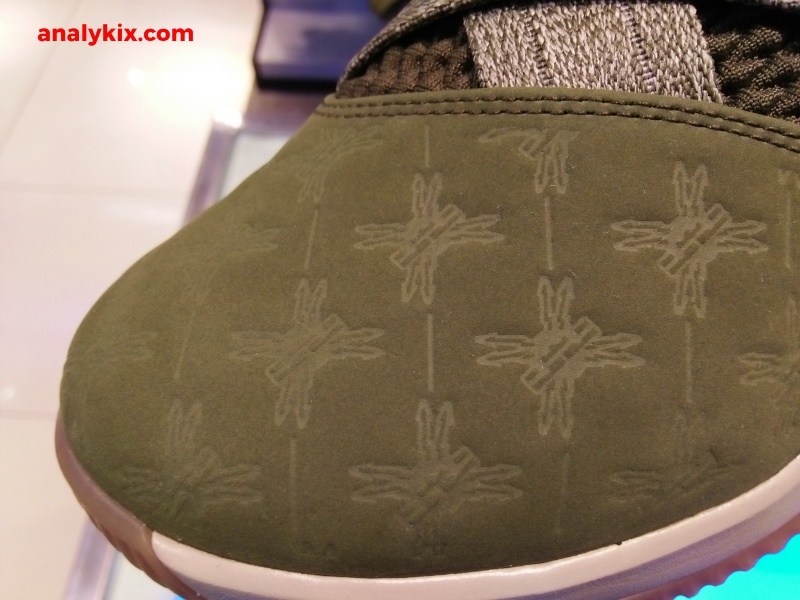 Composed of a nubuck like finish, there are some stamping of the LJ logo with some graphics behind it. 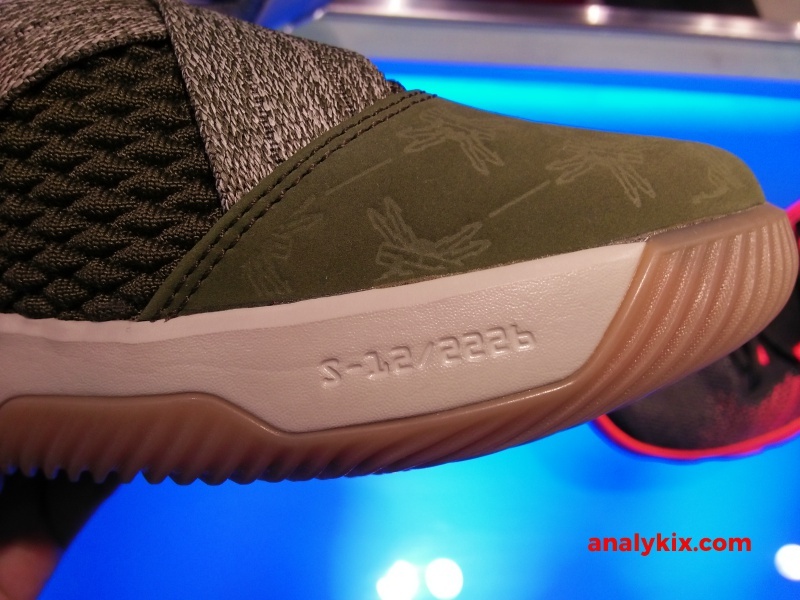 It is in military green with some beige blocking in the midsole and completing it is a gum outsole. 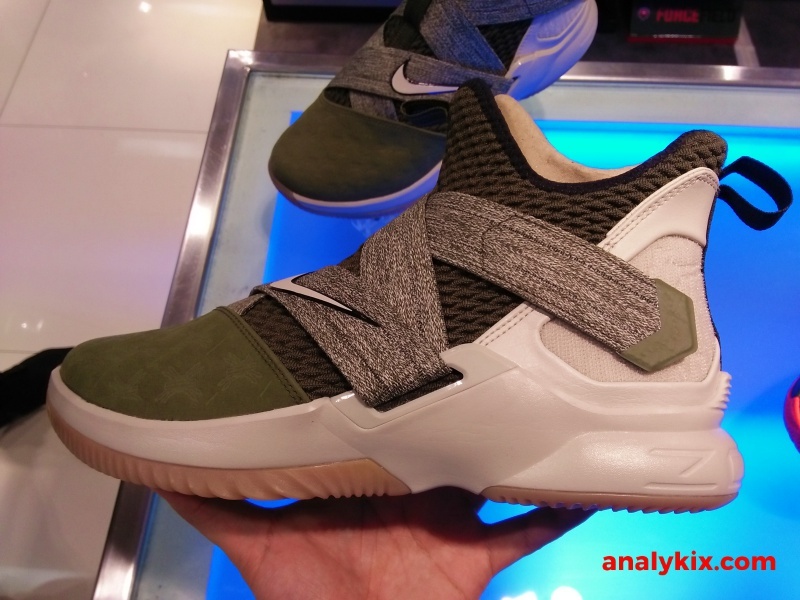 This is the Lebron Soldier line which is being pushed as having no traditional laces. 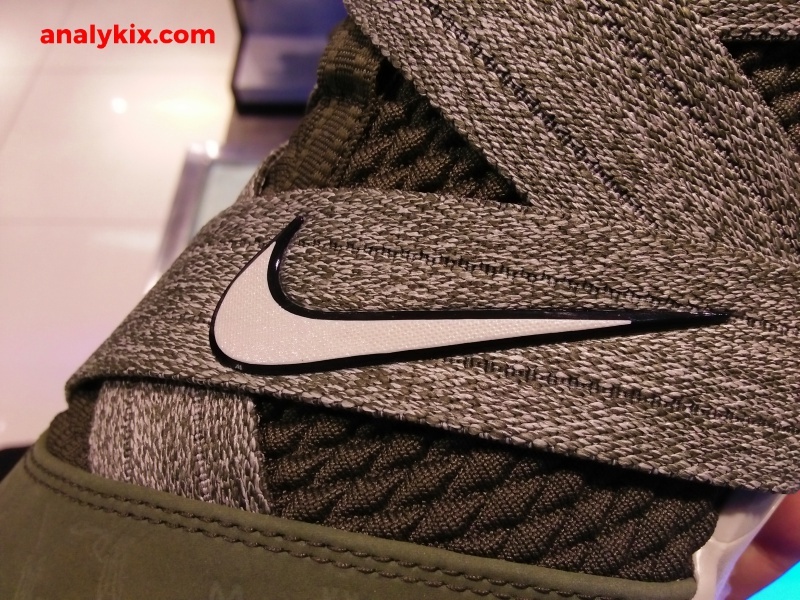 For the past 3 renditions including this one, all of them have just straps to replace the laces. 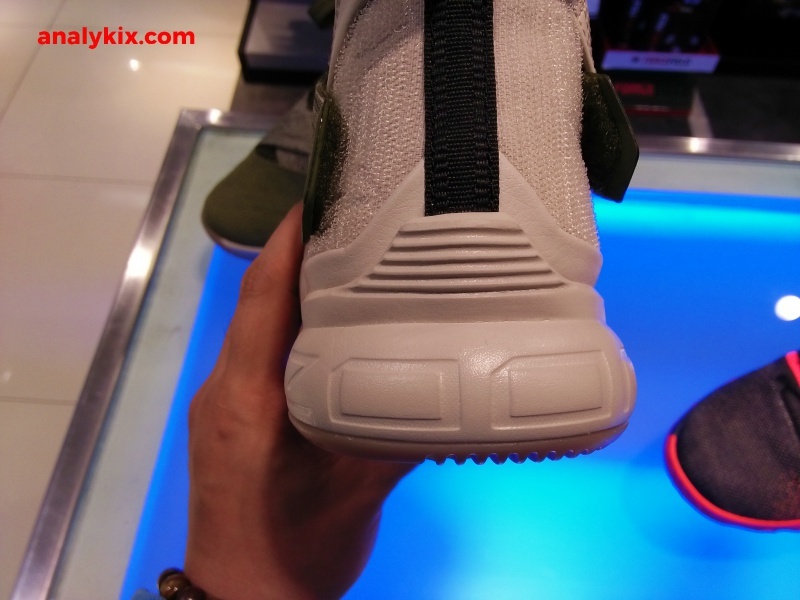 For the Soldier 12, it's arranged in a cris-cross pattern which kinda reminds me of a gladiator sandals. 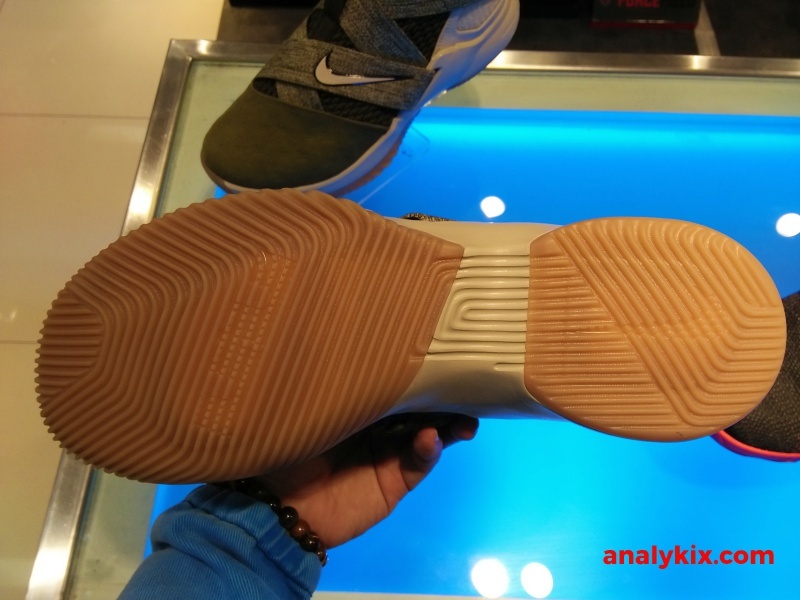 Other techs include a stretch knit upper in the midfoot area and for cushioning Zoom Air in the forefoot and heel was used. 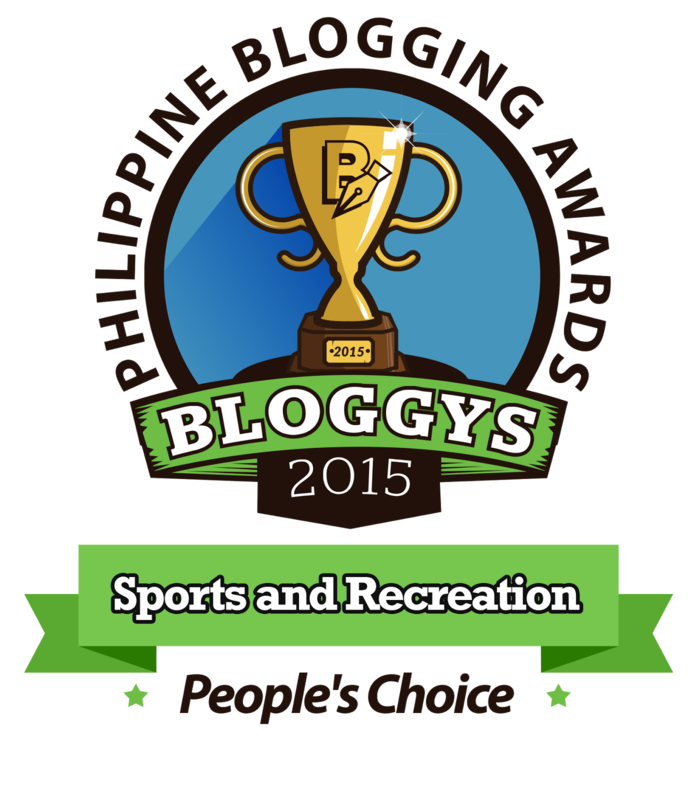 You can get this now at Planet Sports Trinoma for Php 6,745.